Jeff Marshall is a recent graduate of the Public Diplomacy Program, where he earned a Master of Arts in International Relations and a Master of Science in Public Relations. He also received a prestigious Boren Fellowship, which he used to study Urdu in Lucknow, India. 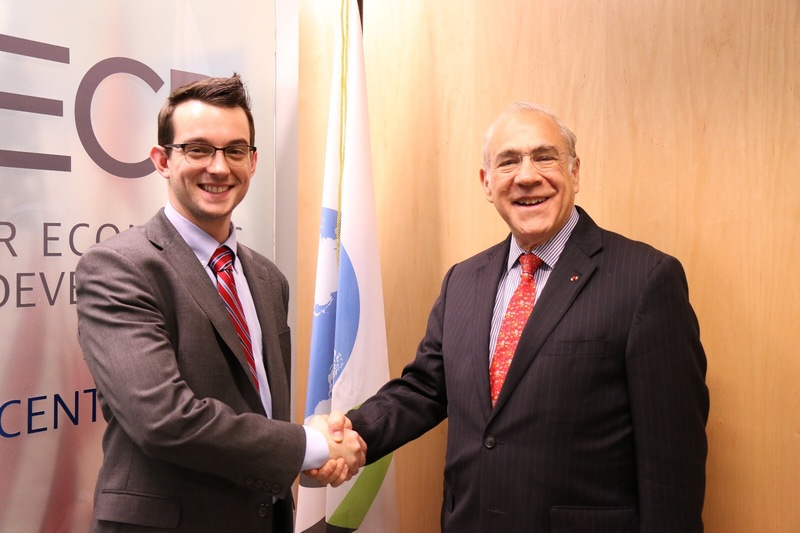 This spring, I had the opportunity to join the Organization for Economic Cooperation and Development (OECD) at its Washington Public Affairs and Communications Center. The OECD is an international economic and social policy forum comprising thirty-five of the world’s leading market democracies, and the Washington Center serves as a support and outreach center for the organization’s headquarters, which are located in Paris. Joining an international organization at the beginning of a new presidency was a fascinating experience. While communicators generally focus their efforts on external engagement, listening, monitoring, and evaluating are equally important aspects of a communicator’s role. As such, much of my initial work at the Washington Center was focused on keeping up with developments in the White House, noting potential sensitivities, and reporting to the Secretary-General’s office in Paris. Given the wide range of policy areas (from chemical testing guidelines to taxation) the OECD produces data and research on, these tasks served as crash courses on a variety of issues and debates. In addition to monitoring and reporting, I was also tasked with identifying potential areas of cooperation between the public affairs and sales and marketing staff at the center. This entailed examining content released leading up to a major OECD publication, developing processes for sharing content, identifying shared audiences, and, ultimately, producing a series of recommendations for the center. The project provided me with unique insights into how international organizations market their research, conduct outreach, and generate interest in policy issues. The project also afforded me the opportunity to reflect and share my observations and suggestions for improvement. 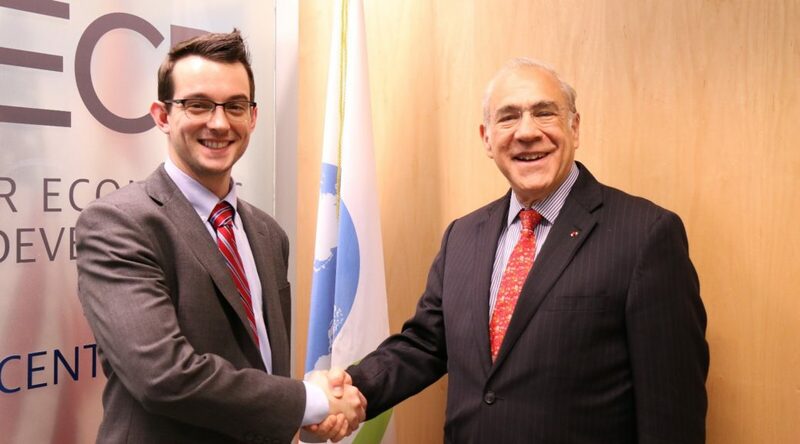 The exciting conclusion to my internship was a visit from the OECD’s Secretary-General, Ángel Gurría, for the World Bank-IMF Spring Meetings. In preparation, the entire office went into overdrive. We were in a constant process of confirming meetings, arranging (and re-arranging) schedules, and tirelessly reviewing the run of show, or as we referred to it, the “tick tock” to ensure that the Secretary-General’s visit would run smoothly. The entire process was an excellent exercise in team-building, and while I wouldn’t want to be planning such visits every day, it was a phenomenal learning experience. My time at the OECD Washington Center was undoubtedly time well-spent. Given that it is a small office, I was truly able to immerse myself in most of the Center’s activities, which provided for a highly stimulating and enriching professional experience.